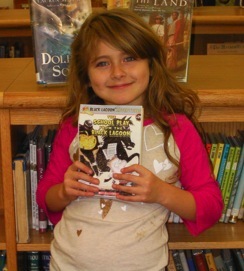 Mariah recommends “The School Play From the Black Lagoon”! My name is Mariah and I’d like to tell you about a great book I’ve just read called The School Play From the Black Lagoon by Mike Thaler and Jared Lee. Mrs. Green announces that the class will be putting on a school play. All the kids are excited to audition for the Legend of Sleepy Hollow, except for Hubie. The only part he wants is to be in the audience! But you can’t be famous if you’ve never even stepped on stage. You can find this book at our school library or the Elizabeth Taber Library.